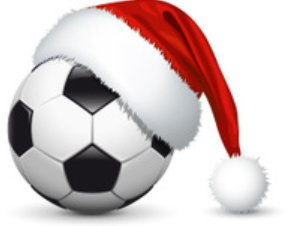 Soccer Santa Is Coming To Town! Soccer Santa has promised to stop by the soccer banquet room for pictures and to collect Christmas lists from all good boys and girls! Parents and kids can stop by after the BA Christmas Parade and donate a canned food item for Broken Arrow Neighbors & get their child's picture taken with Soccer Santa for FREE! Have some cookies, cocoa & cider and then register your player and receive a special certificate for Christmas! 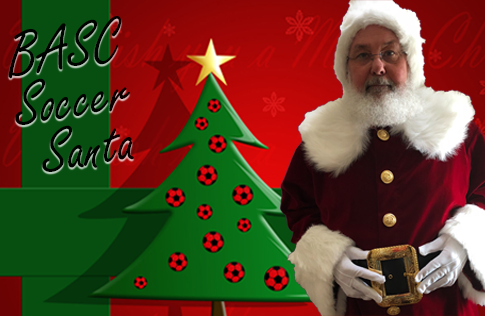 Get your holiday started with Soccer Santa! You can get a head start on soccer registration for next season HERE!